Made some cool discoveries with the amp today, I'm a bit slow on understanding how interactive tone controls work after years owning set and forget amps and this is my first dumble inspired amp. 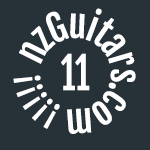 Realised 11 o'clock seems to be a sweet spot for volumes and a lot of the tone knobs and raising the bass also raised the mids, as they are connected in the tone stack. Then trying bridge pickup in the les paul with the tone rolled down a bit gets that smooth bright punchy fat honk without any harshness. I also discovered going to town with the treble really helps out a strat which I'd never realised before, maybe because a strat is already a bright guitar compared to other guitars, it seemed weird to add more treble, but it sort of made sense after I figured this out as a strat always sounded amazing to me into a vox top boost channel which is a bright amp. Two things I'm not so happy with one there was a harshness digging into the clean like how a transistor amp reacts vs tube amp but this seems to be going away as I play it more, not sure if I'm learning to set controls better or if the speaker is breaking in or what. The second thing that bugs me is setting up the best clean sound compromises the best lead channel sound. I like the clean with Master and clean gain at 11 o'clock but with the lead channel I like master at 3 o'clock and clean gain at 1 o'clock. I'm hoping I like more gain in the lead channel because that harshness goes away and as the amp hopefully continues to get less harsh I'll like lower gain settings on the lead channel more and then I can set it up for my preferred clean channel settings have a nice in tge edge tone in tge lead channel and smack it with a clean boost after that for harmonically rich insanity. Thanks for the update. I've been watching all the videos of this amp and there is a lot to like. That harshness you described is concerning. So let us now if the speaker break in helps it. Voxshall wrote: I like the clean with Master and clean gain at 11 o'clock but with the lead channel I like master at 3 o'clock and clean gain at 1 o'clock. What speaker does it use? It's a custom made speaker for two rock made by wgs similar to an ET90 model, which is like a cross between a Celestion G1265 and an EVM12L, the new two rock transformers really let the full frequency spectrum through so having a speaker that does the same gives the amp an enormously large sweet spot. I'm not a tweaker and it sort of annoys me there is so many options. I live in a city apartment too ha ha I like to think my neighborhood really enjoy the amp with me. I did take the amp to the family farm and put everything on ten then run a cable to the guitar under the door and played in the next room was fun feeling the bass and shaking the house ha ha. bluesierra wrote: Thanks for the update. I've been watching all the videos of this amp and there is a lot to like. That harshness you described is concerning. So let us now if the speaker break in helps it. It's getting better each time I play so I'm pretty sure it's going to right it self, otherwise I'll start tube rolling and see how that goes. And maybe speaker rolling? Full freq can be a bit of a drag sometimes...and I hear ya on "so many options". I can barely manage my one tone! I thought about putting an alnico cream in there or vintage altec, but the whole reason I got this amp is because of the fact I've spent the majority of my guitar life playing vintage amps and wanted to embrace a change and so far I'm liking what the speaker is bringing to the table, I played my vox through the speaker and it sounded great. Maybe the hifi thing will start to get boring for me but so far it's different and new enough to be addictive. Happy days, found a bag full of guitar junk I didn't even know I had, including a box of tubes some of which could fit my amp. I want to hold off rolling as long as possible amp still seems to be changing a bit. 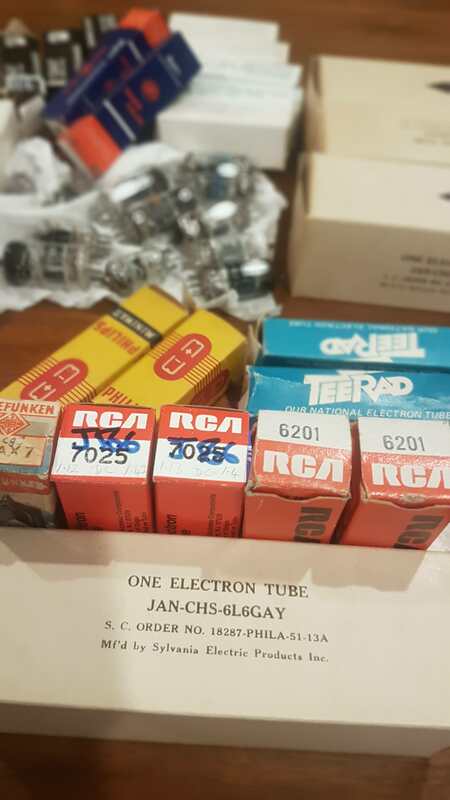 Does anyone know anything about ERA and Teerad tubes?. Also found a cool treble boost using old NKT-275 transistors in the bag that sounds great.